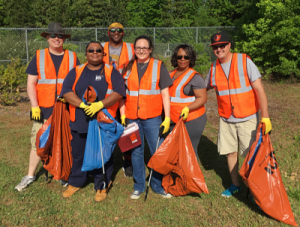 Do you want to help keep New Hanover County beautiful? 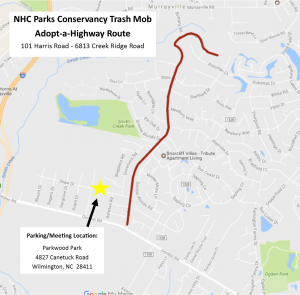 Then join the New Hanover County Parks Conservancy Trash Mob for our quarterly Adopt-a-Highway litter clean-ups on Harris Road by Smith Creek Park. Clean-ups are scheduled for the 2nd Saturday of January, March, June and September from 9-11am. Volunteers must be at least 16 years of age and can participate as an individual or group. We will provide all the necessary supplies- bags, gloves, safety vests and pickers. Contact Jodi Rich by email or (910) 798-7629 for more information or to sign up.